Olivia Hunchak is a senior student here at Kelowna Secondary School. Having always been dedicated to the arts and the english language, Olivia has been inspired to continue her studies into the education program. Hoping to one day teach elementary school and or take her skills overseas to teach english. 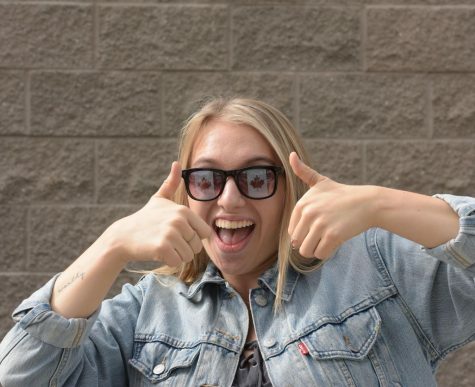 This is Olivia’s second year in journalism and has found a love for writing about history, world issues, and music. Although Olivia loves writing her passion lies in public speaking. Olivia hopes to spread the word on mental health in teens by sharing her own story through the means of public speaking and speaking to local youth. Olivia is someone who never backs away from an adventure and always tries to find the positive in life. You can always find Olivia going for hikes, being outdoors, and spending quality time with family and friends. She has a passion for life and is ready for whatever life throws for her after high school.